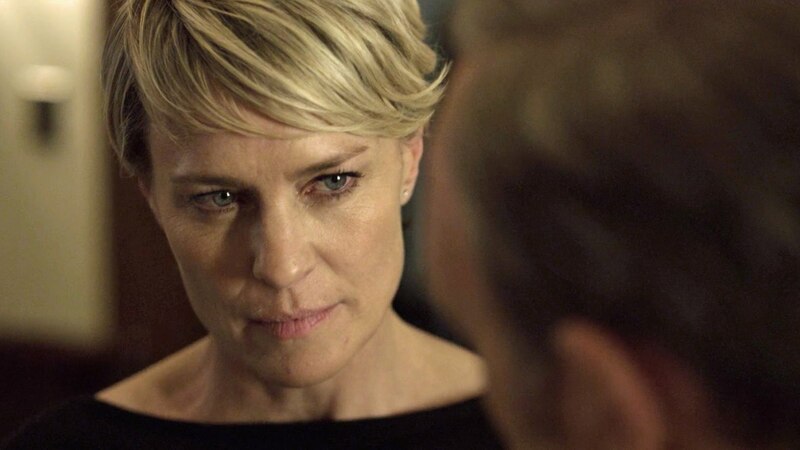 So much respect for Robin Wright demanding equal pay on "House of Cards"
Kevin Spacey may be the president in House of Cards, but arguably, the show would be nothing without Robin Wright, who plays badass First Lady Claire Underwood. And now, we’ve discovered that Robin did Claire proud by demanding that she get equal pay. Yep, that one deserves a round of applause. “I was like, ‘I want to be paid the same as Kevin,’” Robin told the audience during an hour-long conversation for “Insight Dialogues” in New York, according to the Huffington Post. Robin has not only appeared in every single episode of the show, but she serves as producer, and she’s even directed a few episodes. “It was the perfect paradigm. There are very few films or TV shows where the male, the patriarch, and the matriarch are equal. And they are in ‘House of Cards,’” Robin told the crowd. Back in 2014, Kevin Spacey was making $500,000 per episode, and there was talk of doubling that number to $1 million. Meanwhile, it was discovered last September that Robin Wright made $5.5 million, which Huffington Post points out would equate to only $420,000 an episode. Considering the fourth season seemed to revolve around Claire even more than Frank, that’s quite a disparity. She may be in an insanely higher pay grade than most of us, but the principle of demanding equal pay with men is important to us all. And what a comeback. You go, Robin Wright! Thanks for fighting for what’s truly right and being a badass, IRL Claire Underwood.